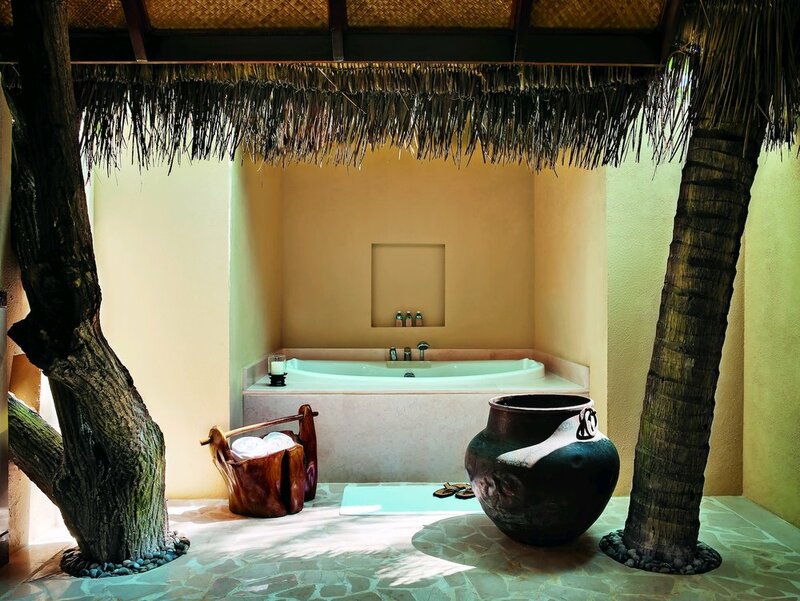 Incorporating local influences with an eco-conscious balance with nature, Taj Exotica is situated perfectly in the middle of one of the largest lagoons in the Maldives. Just a quick 25 minute speed boat ride from the capital Male’ you will instantly be on “Taj time” the second you step foot in this postcard-perfect, luxury resort. 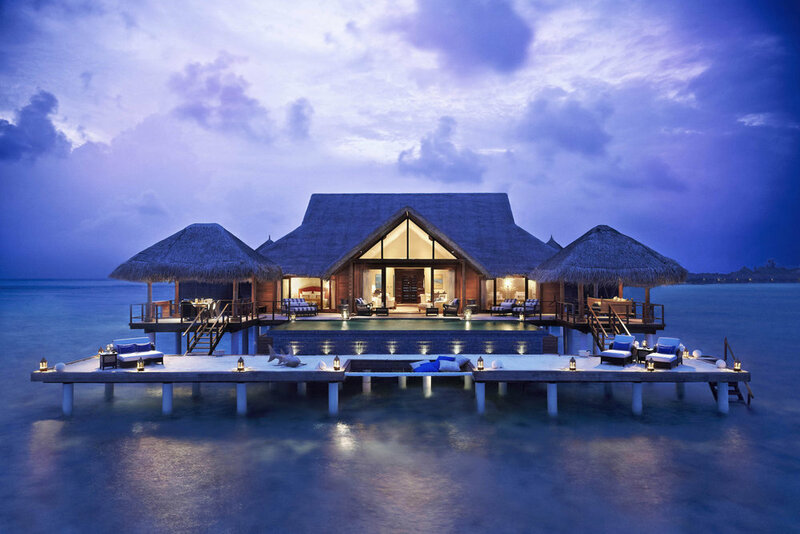 Set amidst rich flora and fauna and surrounded by stunning coral reefs, you will find lavish sea-view villas and suites some with private pools and the award winning Presidential suite, arguably one of the best in the world. Picture yourself lazing in a hammock with the glistening blue waters lapping beneath. Indulge your tastebuds with unique, private dining experiences in picturesque, mesmerising settings. Unwind with a cocktail in hand by the pool looking out over the Indian Ocean, or venture out on a wildlife spotting tour. 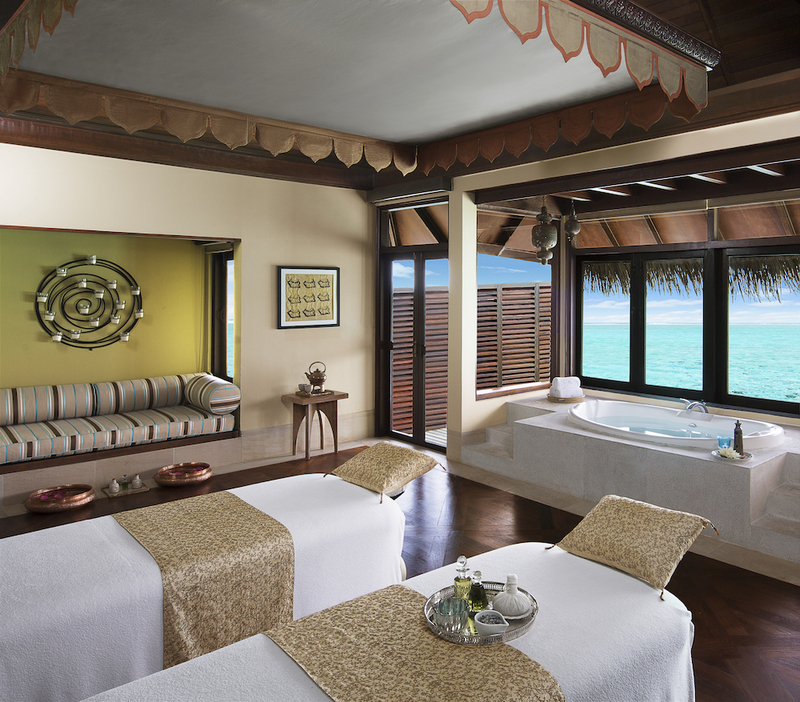 Release the tension from everyday life with an indulgent massage or take a dive with the magnificent marine life. Whatever you're desire the butlers and concierge team at Taj will ensure to make this the most memorable Maldivian experience. Taj do Romance oh so well…why not ask for one of their Signature Dining experiences to be arranged for your special someone. Beach side dining under the stars with torches glowing all around…just magic.